World of Final Fantasy Maxima is a cutesy adventure through Grymoire where you'll meet heroes from many of the past FF games, coming this November. Early next year, past mainline entries will begin coming in. First, ports of Final Fantasy VII and IX will arive, followed by the remastered X and X-2 combo pack, and XII: The Zodiac Age later on. Sorry FF8 fans, you're weird and everyone knows it. Final Fantasy XV Pocket Edition is available now. World of Final Fantasy Maxima will arive on November 6th. The mainline releases will be sprinkled throughout 2019, and we'll update when more info is available on those release dates. 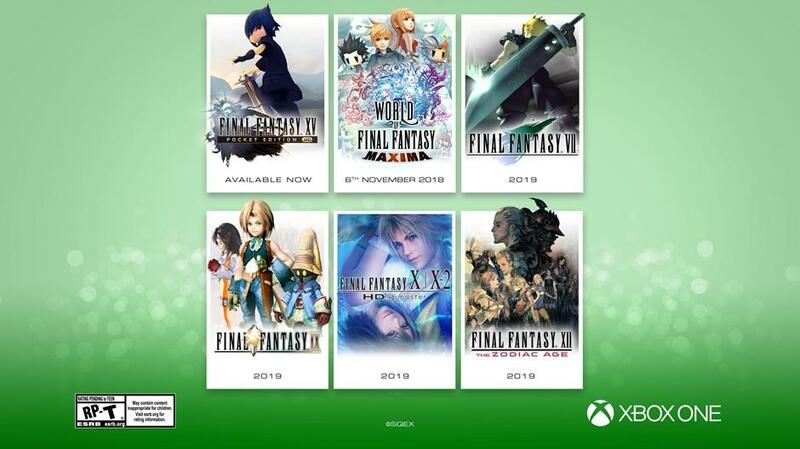 I for one am beyond excited to see Square Enix finally supporting Xbox with their re-releases and remasters, and this certainly makes it likely the developmentally-challenged FF7 remake will come our way as well. User Score is based on 3 user ratings.